Summer holidays are here so it’s time to get groovy with the grill. We love a banging barbecue at Fresh Choice Nelson, and a sizzling steak makes it real special. 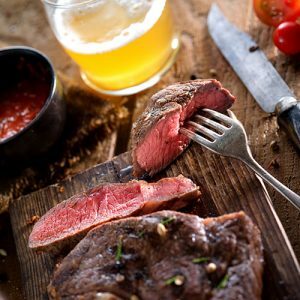 So we thought we would share our top tips for cooking the perfect steak, but before you even start heating the grill, take a step back. Where are you going to get that baby from? We recommend you buy organic. So head down to Fresh Choice Nelson for a prime cut. At Fresh Choice Nelson we buy your organic meat direct from the farm so we can absolutely guarantee the provenance of the product. Wash Creek organic beef (and lamb) comes to us from the farm in Canterbury where cattle (and sheep) are free to roam on the Hurunui hills. They thrive on organically grown forage including fruit salad pastures of chicory, clovers, lucerne and plantains. This nutrient rich mixed diet is chosen to naturally deter parasites. The long and the short of it… They eat well, so you can too. Righto… Back to the barbecue. Here are some of our top tips for a perfect barbecued steak. Take guidance from Goldilocks – You want that temperature just right… And for a barbecued steak that’s hot, real hot! You, however, should chill with a beer while your grill gets up to temperature and we can help you with that too… In fact you can buy organic beer at Fresh Choice Nelson to go with your organic steak! Shake a little seasoning – Now we’re not talking about anything fancy here. We want you to enjoy the taste of that pasture fed organic beef, so a little salt and pepper should suffice. Add some olive oil too, this will stop your steak sticking to the grill, brush the steak not the barbecue with the oil, as it will prevent the oil from burning. Don’t forget the B side – You want to turn that baby over, once, and only once, during cooking. If you turn it too frequently the juices will escape. Take a rest – Once you have cooked the steak to your liking, pop it on a plate and let it rest for 5 minutes. Open another beer so you’re not tempted to rush this part. It’s important because when your steak is cooking the juices get pushed to the centre by the heat. This part is relaxation time, and will ensure that you slice into a steak that is succulent and tender. Now you have the tips, head down to Fresh Choice Nelson and buy organic! With the presents unwrapped and the pav demolished, it’s time to think about New Year’s Celebrations in Nelson. If you’re celebrating at home, we’ve got you covered… The weather looks promising so a barbecue could be the way to go. Here are our three tips for making your barbecue the bomb! Kick the kebabs into touch with an Inspire meal bag. Wow your guests with something more creative than a sausage. How about Lamb Kebabs on Creamy Butter Beans? Order HERE, and we’ll have your Meal Bag ready for pick up at a time that is convenient to you. Keep it local. We’ve got delicious fresh local greens for your barbecue salads, and berries for something sweet. You’ll need some liquid refreshment too! Check out the back articles on this blog for Neil’s wine choices. It wouldn’t be New Year’s Celebrations without fizz… In this article Neil shares his top tips for best bubbles. If beer’s your baby, then Denis has kept this blog updated with his top picks throughout 2016, so scroll back through the articles for inspiration… Thanks Denis! And don’t forget your sober drivers need imbibing too… We’ve got that covered with these awesome summer mocktails. Get in the mood for 2017 with Foo Fighters Next Year. When things slow down say goodbye to December and celebrate the late, great George Michael with his December Song. 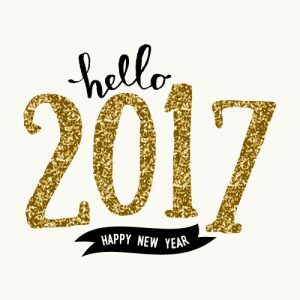 Wherever you’re celebrating the new year, we wish you safe and happy celebrations! The Fresh Choice Nelson Guest Bloggers are back! First article for 2016 from our “A” team comes from Neil Hodgson, and he’s talking Rosé. When it comes to popularity rosé wines have been one of the fastest growing wine styles in recent years. Rosés are such a versatile wine style they suit almost any occasion; from pink sparkling wines to dry wines that need to be served with food to really come alive, or just a delicious wine to enjoy with lunch or pre-dinner, there is always a rosé to suit, and many can be found at Fresh Choice Nelson. If we start at the fun end of the spectrum there are plenty of sweeter rosés packed with strawberries and cream characters; normally made from Pinot Noir grapes that have been very lightly pressed so there is minimal colour extracted from the skins of the grapes, these are delightful when served chilled and enjoyed over lunch. You can buy these from as little as $15 a bottle, but the better ones have a recommended retail price of around $22, just look for them on special at the moment at Fresh Choice Nelson. Rosé sparkling wines and Champagne still fit the fun category but are a little bit more serious and tend to be slightly drier in style than the strawberries and cream style versions. Sparkling rosés are perfect for summer celebrations like weddings and birthday parties. 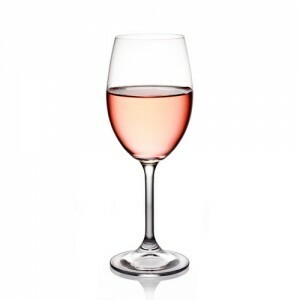 If you want something to enjoy with a meal then look for a drier style rosé, maybe something made using Merlot grapes or from Pinot Noir using a little more skin contact so they will be darker in colour, and skin tannins are extracted too making the wine drier in style and perfect with food. One I have been enjoying this summer is the 2015 Invivo Sophie’s Rosé that Fresh Choice Nelson has on promotion for $15.99, (a saving of $5). It is dark red plum in colour and packed with rich, spiced strawberry flavours, dry in style it is wonderful with anything cooked on the barbecue but especially good quality beef sausages or lamb chops, which by the way you’ll also find at Fresh Choice Nelson! Here at Fresh Choice Nelson we ❤️ summer! A visit to the beach, a cold brew and the BBQ grill on is what Nelson days are made of! Man we love a banger as much as the next person, especially the gourmet sausages we have in store at Fresh Choice Nelson, crafted by our local, friendly butcher “Phillipe”, (he’s French so knows a thing or two about sausages). But sometimes a sizzling supper calls for a degree of quiet sophistication, so Fresh Choice Nelson brings you recipe inspiration for your barbecue dinner! Basil Pesto: Place basil leaves, garlic, pine nuts and oil in a small food processor and process to a rough paste. Season with salt and freshly ground black pepper and then stir through the Parmesan cheese. Place in a small bowl, cover well and refrigerate. Quinoa Crust: Place all ingredients except milk in a bowl and mix. Pour in enough milk to just moisten. Press crust on to one side of each lamb cutlet, place on an oiled grilling tray, crust side down. Place under hot grill for 2 minutes. Remove from grill, turn cutlets over, drizzle with a dash of oil and return to the grill for a further 3-4 minutes. 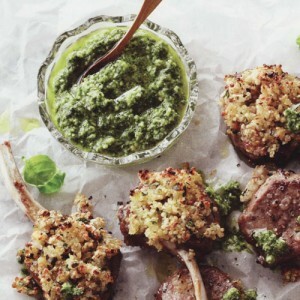 To serve: Serve lamb cutlets with basil pesto and a fresh summer salad or barbecued summer vegetables. To cook in the oven: Preheat oven to 220° C. Line a shallow baking tray with baking paper. Place cutlets on baking tray, crust side up ar)d drizzle with a little oil. Cook for 8-10 minutes, turning once. Buy your basil pesto in store to save time, we have an excellent range at Fresh Choice Nelson. This recipe comes from the “be inspired with beef and lamb simply summer” guide, available free at Fresh Choice Nelson. What a wonderful time of year. The spring lamb is just becoming available, asparagus is cheap, new season courgettes are slowly arriving. Apart from the wind, it’s been perfect barbecue weather. There’s nothing better than being outside grilling up a storm, you can cook anything on a barbecue, it’s not all sausages! A favourite barbecue treat is scallops. Right now these are in season. Simply soak a bamboo skewer in water for a few minutes, (to stop it burning), then place the scallops on the skewer while threading some streaky bacon between them as you go. To make them cost effective you can also alternate between a scallop and a diced piece of white fish the same size. Stick with the seasonal theme and serve with some grilled asparagus. Finish with a few rocket leaves and olive oil and lemon juice for dressing. Mini jacket potatoes are also great on the barbecue. Wrap them in foil with a little butter, pop them on the barbecue and close the hood, they’ll need about half an hour. When you need something to impress, try serving them stuffed with sour cream and sliced smoked salmon. Here’s a little salad to make on the barbecue. 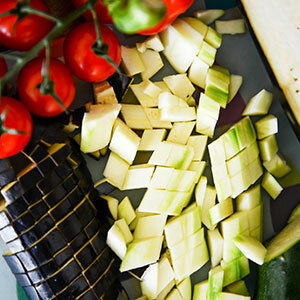 Toss the vegetables in the olive oil with a little salt and pepper. Grill the vegetables until tender on the grill side of the barbecue. Lay the grilled vegetables out on a platter. Toss the tomatoes with the vinegar and season well. Scatter them over the vegetables and top with the salad leaves.